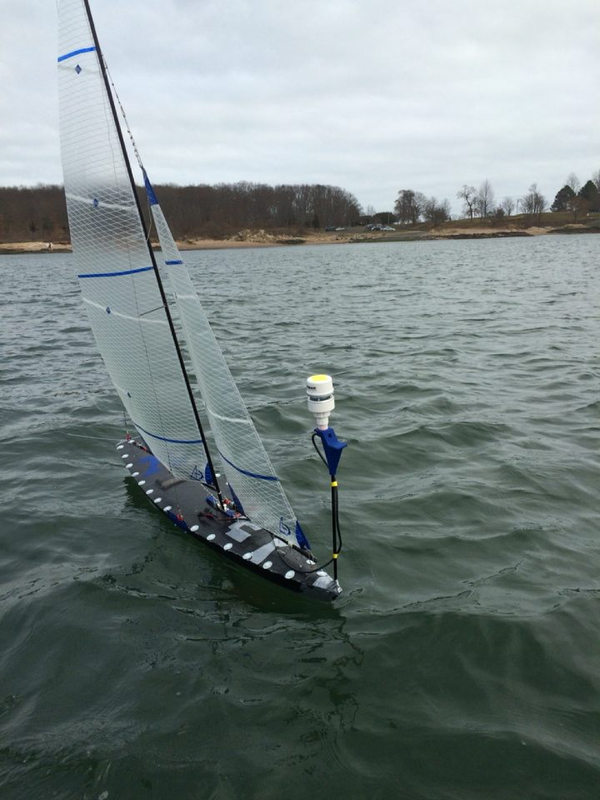 The Yale Undergraduate Intelligent Vehicles Team was a multi-year project to build a fully-autonomous sailboat for the International Robotic Sailing Regatta. This race involves a variety of navigational and computational challenges that the boat must accomplish independently, with no human input. I was in charge of mechanical design for the boat, directing CAD efforts and design choices. We based our design off of the two-meter Santa Barbara model yacht class with a few modifications, most notably substituting a longer bulb keel in place of the standard fin keel to improve performance and reduce undesired heeling. We began construction of the hull in the spring of 2015 and the boat sailed for the first time in the spring of 2016.